It’s a worthy investment for you to repair your old audio stereo equipment compared to buying a brand new due to the revival of the old stereo systems such as turntables. Regular repair of your old stereo can make sure that your old stereo equipment will not break down can continue to operate as expected. In case you have an old stereo system, then you must visit a home stereo repair expert whom you trust in case you wish to get some advice about repairs. Many experts recommend that it’s better for you to repair your old stereo system compared to buying a new one due to the following reasons. The old stereo systems are designed of high-quality technology compared to the modern ones which many producers rush while they are building them. This’s the best thing for any person who owns old audio equipment since it implies that this system can continue to function for many years. It’s not recommended for you to allow your old stereo equipment to sit in your house without being used as you can expose it to further damage. It’s important that you regularly check your system so that you can lengthen its life and limit small issues from emerging which might be more serious and expensive to repair. The old stereo system has been designed in such a way that it can last for a long time and it can if you conduct regular preventive maintenance. Many of the manufacturers used high-quality materials which do not get damaged easily even if you expose your system to unfavorable system. Although the modern stereo systems which replicate the old stereo system can be bought at a cheaper price, what you must know is the old stereo will always sound better. One of the reasons why many modern producers do not produce stereos which have good sound is that many of them do not consider the sound quality as the main selling point. This is because many people do buy this audio equipment from large retail or online stores. 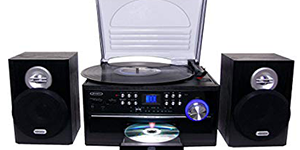 Many of these systems offer wireless capabilities, are inexpensive and have other addition connections which tempt many people to leave their old stereo systems so that they can buy the modern ones. However, it’s important for you to know that it would be good if you repair and maintain your old stereo equipment if you wish to get the high-quality sound. By repairing your old stereo system so that it remains in shape is one way of protecting the investment that you made many years ago. Even if you wish to keep it so that your future generation can have a taste of it or you wish to sell it now, your old stereo system has a lot of value if you maintain it well. With this system, you will feel good when you have an old stereo system which works. In case you wish to know the value and state of your old stereo system, then you can look for a nearby local audio system which can offer you an advice and estimate cost for the repair of your old stereo. Since the old stereo systems were built such that they could last long they have metal framing or wood which offers it extra durability and sturdiness. On the other hand, the modern stereo system is usually designed using plastic which may break when exposed to unfavorable environmental conditions. 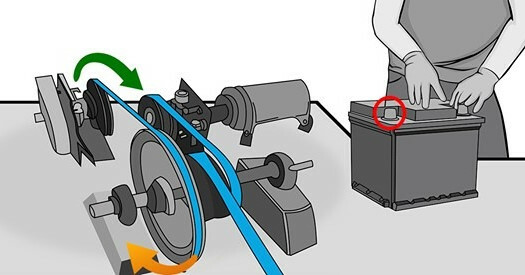 Some of the materials also make these systems unstable which can make it fall down and get damaged. 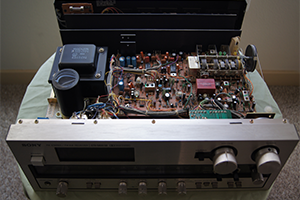 Some of the repairs that can be done for your old stereo are electronic repair, record player repair, amp repair, and turntable repair. 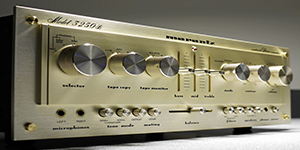 If you approach a home stereo repair expert you can have any of these repair done for you a cheaper price so that you can continue to have the original taste on how music should sound compared to buying a new one whose sound has been tampered with. If you dispose of your old stereo system, you may live to regret the rest of your life. Just have it repaired and avoid spending a lot of money on buying a new one which cannot serve you for many years without breaking. Electric companies have already gathered an army of lawyers to take it down. © 2019 Adam's Electronics Repair.